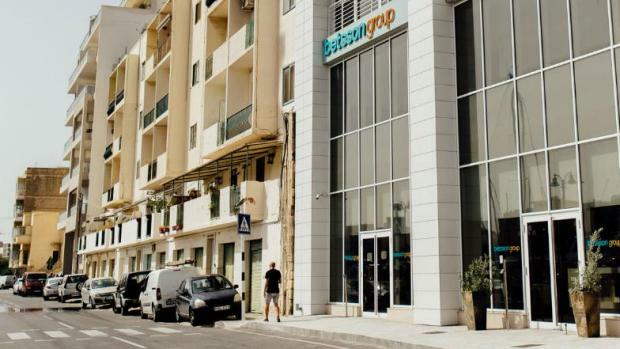 Malta's largest gaming company, Betsson, has decided to restructure and streamline the organisation, reducing its head-count across the group by 160 employees, 130 of whom from Malta. Forty-eight of the employees are Maltese nationals, with their termination letters to be handed out on Monday, CEO Jesper Svensson told Times of Malta. The company, by far the largest employer in its sector, employs some 1,100 people. The company said that the restructuring would make it more efficient. "It is the result of a rapid acquisition strategy," Mr Svensson said, making it clear that the decision was not in any way linked to the Maltese jurisdiction. Betsson International CEO Pontus Lindwall added: “In cooperation with the operational management team, we have started to implement actions to improve operations. The restructured organisation will be more streamlined with clearer responsibilities, which I believe will improve its efficiency over time." the restructuring will be recognised in the interim report for the first quarter 2018. The cost saving of the changes is estimated to SEK 50-60 million (€5-6 million) annually. The Parliamentary Secretary for Digital Economy Silvio Schembri expressed his satisfaction at Betsson AB’s commitment towards the Maltese jurisdiction and the reaffirmation of its intent to maintain its headquarters in Malta. “The gaming industry has registered a double-digit growth of 11.6% last year and is expected to maintain this level of growth in the coming years especially once the new gaming regime is enacted later this year. The industry employs more than 9,000 people and today we are in a situation where any redundancies in Malta will be immediately absorbed by other operators in the industry when taking into account the hundreds of vacancies available within the gaming industry," he said. Bettson AB was one of the first online gaming companies to be licensed in Malta way back in 2004. Full solidarity and support for Betsson employees. Confident that gaming sector set by PN longterm vision still going strong. PN will be catalyst in creating new economic sectors. PL promise in doing so is overdue.